10b12      = pick the 10th fret, then bend to the 12th fret. then release to the 10th fret. 10b12 14: = pick the 14th fret while holding the previous bend. 10b15*     = tremolo bar bend, from the 10th fret to the 15th fret. 7d2*       = tremolo bar dive, from the 7th fret to the 2nd fret. 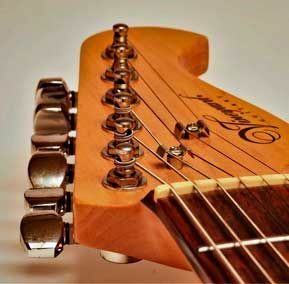 7d4r6      = tremolo bar dive, then release to the numbered fret.